Ninth Bruges European Business Conference: "The Future of Taxation for a Seamless and Competitive Internal European Market"
The Bruges European Business Conference is a joint initiative of the College of Europe's specialisation on European Economic Integration and Business (EEIB) and Deloitte, to exchange ideas on public policy challenges and debate EU-related issues of importance to European business. 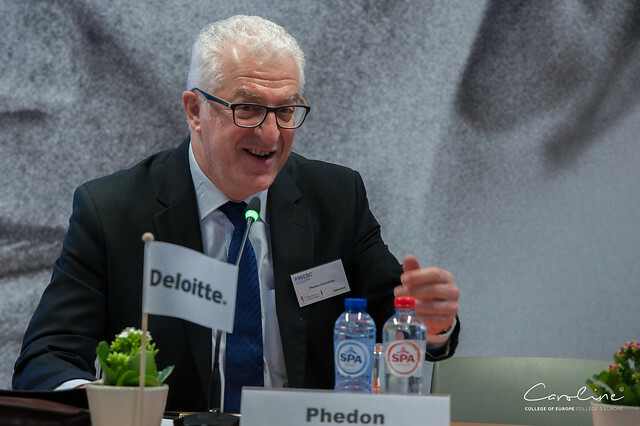 The College of Europe (Bruges campus) and Deloitte organise a one-day conference on 22 March 2018, bringing together high-level policy makers, business leaders and eminent academics, to discuss policy developments and business challenges in the field of taxation within the Internal European Market. Globalisation and technological progress have altered fundamentally competitive relationships, enabling businesses to procure supplies and reach consumers beyond national borders. Tax systems, however, have not adapted to these structural changes. The need to secure sufficient tax revenue to create fiscal space in the post-crisis framework, exposure to aggressive tax-planning strategies and the resulting public outcry compel European countries to reform their tax systems and to work together in the context of the European Union to devise systems which are compatible with new business models and corporate strategies. For more information, please contact Salim GADI.